The Lehi men’s varsity soccer team hosted the Payson Lions Friday night for the final home contest of the season. After Payson scored the first goal of the match, Chris Davis and Lincoln Watson both found the back of the net for the Pioneers. Thanks to these goals, Lehi led 2-1 at half-time. Payson and Lehi exchanged goals in the second half. 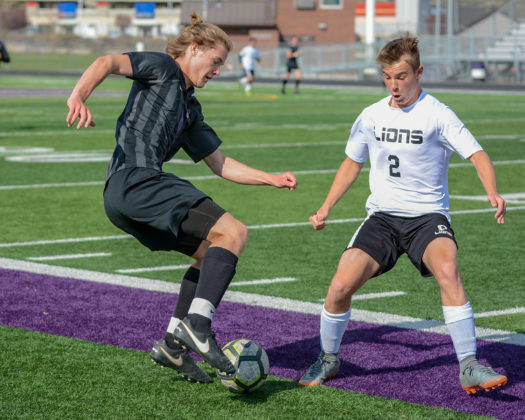 After his initial shot was deflected by the Payson goal keeper and bounced off the goal post, senior Lehi striker Jacob Rogel beat his defender to the ball and kicked it past the keeper with his left foot. 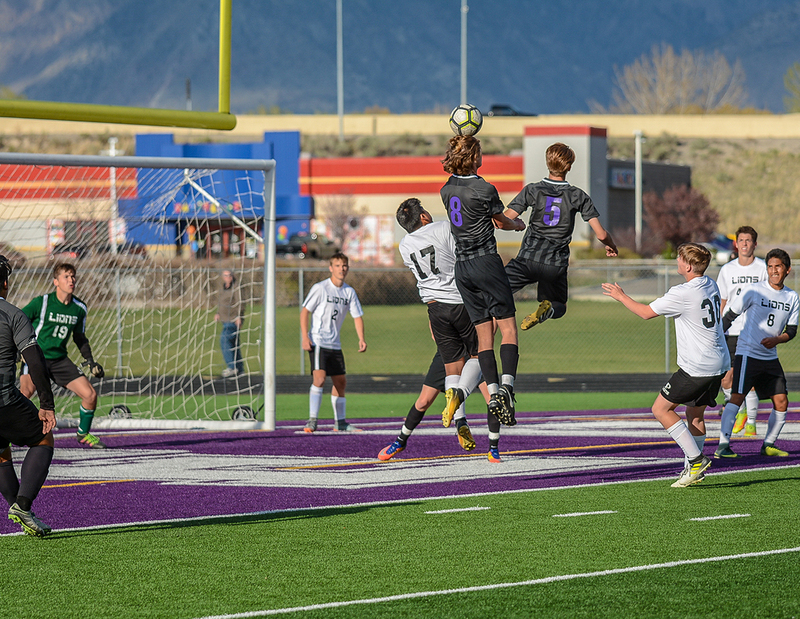 This goal proved to be the game winner since Payson also scored not long after. From that point on, the Pioneers played strong team soccer to preserve the lead. Lehi’s defense limited Payson’s chances on offense while their frontline continued to pressure the opponent’s defense with a strong attack. 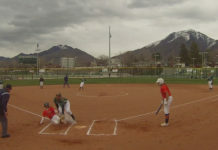 The final score was Lehi 3, Payson 2. After the game, the following seniors were recognized; Jacob Breckenridge, Chris Davis, Kasey Gwilliam, Wyatt Mosher, Ryan Padilla, Jose Pizano, Bryson Reda and Jacob Rogel. 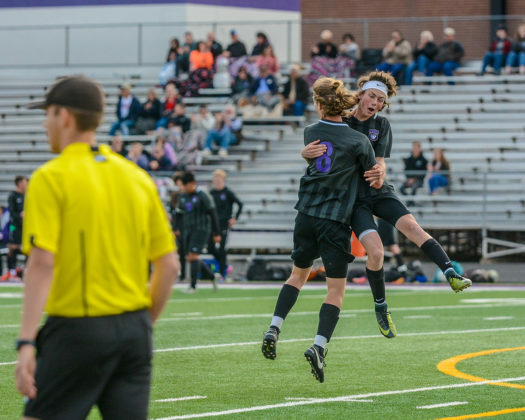 Two of the departing seniors will continue playing soccer at the collegiate level. 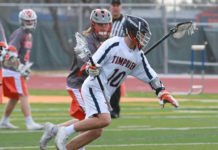 Jose Pizano will be heading to Snow College and Kasey Gwilliam signed with Utah State University Eastern (formerly College of Eastern Utah). 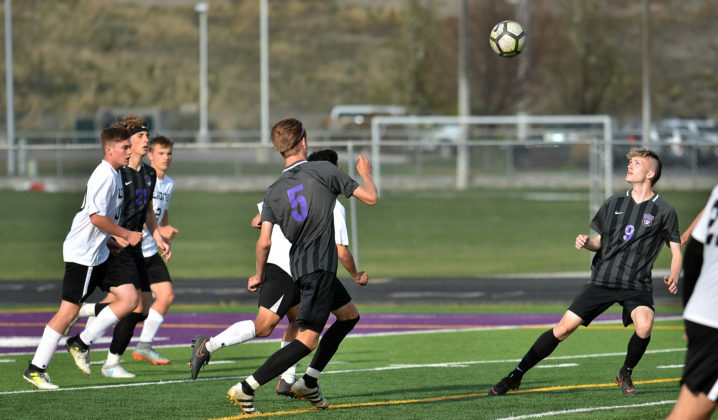 Matthew Roberts is the Lehi men’s and women’s head soccer coach. 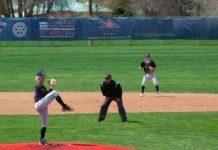 He has coached at Lehi for two seasons and is assisted by Matthew Richards. The athletic trainer for the Pioneers is Janice Bentley.